Singapore (Agenzia Fides) - The upcoming World Youth Day (WYD) in Panama will be an opportunity for the young people of Singapore to share faith and culture. 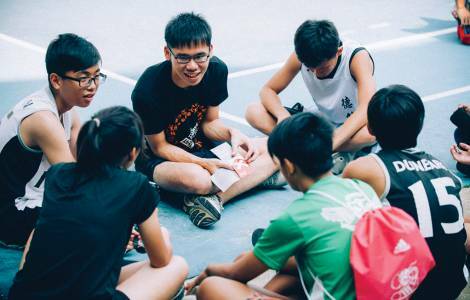 As Agenzia Fides learns, a delegation from Singapore will attend WYD, scheduled from January 22 to 27. Young people are eagerly waiting "to discover for themselves the characteristic values of youth and the richness of the Catholic faith", said Redemptorist Fr. Francis Vijayan, who will accompany the youth of Singapore to the American continent. The worldwide gathering of young Catholic people is characterized by cultural exchange, which "is an important aspect", notes Sharon Leong, among the young people of Singapore who will travel to Panama: "I want to experience the universality of the Church. I have no expectations. I will leave it to Him to surprise me", says Sharon to Fides who, together with 12 other people, is preparing for the journey. Fr. Francis Vijayan explains that the planning for the trip started in June 2018. "In an effort to help our young people feel a sense of belonging to the wider Church, we started to talk about the possibility of sending our youth leaders from the Redemptorist Youth Ministry ". And we prepared ourselves by pointing out "the dimension of the pilgrimage which is not a holiday or an excursion, but an experience of evangelical mission". Fr. Francis hopes that young people can "experience contacts with other cultures, which are a human and spiritual enrichment", while, during WYD, they will meet Redemptorist youth from all over the world at the Redemptorist parish of St Gerard Majella, in Panama. Moreover, "the Pope's presence is very important and the young will be touched by his genuineness", he notes.